Yelp Names Lanny Baker as Chief Financial Officer | Yelp Inc.
SAN FRANCISCO--(BUSINESS WIRE)--Apr. 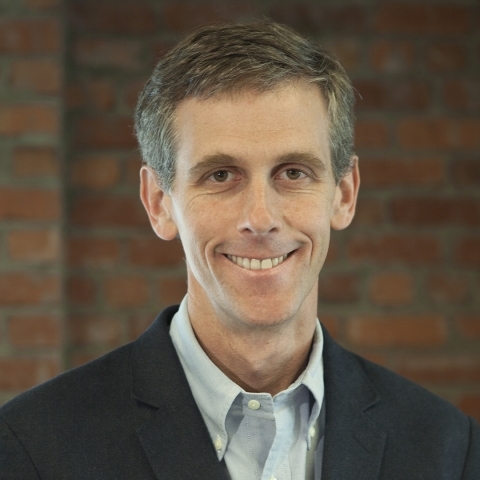 20, 2016-- Yelp Inc. (NYSE:YELP), the company that connects people with great local businesses, today announced that Charles “Lanny” Baker will join the company as Chief Financial Officer, effective May 9, 2016. Baker brings a well-rounded executive background to Yelp, having served both sides of the financial aisle as an equities research analyst and as an experienced CFO for both private and public companies, with an expertise in consumer-oriented digital platforms. As a former CFO for two digital companies, ZipRealty and Monster Worldwide, Inc., and sell-side analyst covering internet and e-commerce, direct marketing and publishing industries, Baker has a successful track record of building and measuring corporate finance strategies rooted in long-term growth objectives. Additionally, he has led the infrastructure development processes that helped position those brands to be end-to-end digital platform providers for their consumers. Most recently, Mr. Baker served as Chief Executive Officer and President of ZipRealty, Inc., an online real estate brokerage and technology company (September 2010 - March 2016), during which time ZipRealty was acquired by Realogy Holdings, Inc. (August 2014). Previously, Mr. Baker served as Executive Vice President and Chief Financial Officer of ZipRealty (December 2008 - September 2010), which operates in 22 states and had annual homes sales in excess of $5 billion. Additionally, he served as Senior Vice President and Chief Financial Officer of Monster Worldwide, Inc. (March 2005 - June 2007) where he led the global finance function. From 1993 to 2005, Mr. Baker held various research positions at Salomon Brothers (subsequently Salomon Smith Barney, and then Citigroup) and was a Managing Director in the Equity Research Department. Mr. Baker currently serves as a director of XO Group, Inc. (November 2005 - present), a life stage consumer Internet and media company, where he chairs the Audit and Nominating and Corporate Governance Committees; and also recently served as director and Chairman of the Audit Committee (2011 - December 2015) of HomeAway, Inc., an online vacation rental company, which was acquired by Expedia, Inc.
Mr. Baker holds a bachelor’s degree from Yale College and is a chartered financial analyst. The company also announced that it will issue its financial results for the first quarter ended March 31, 2016 after the market close on Thursday, May 5, 2016. Yelp will host a conference call to discuss the results at 1:30 p.m. Pacific Time (4:30 p.m. Eastern Time) on the same day. To access the call, please dial 1 (866) 776-8879, or outside the U.S. 1 (440) 996-5670, with Passcode 90874309, at least five minutes prior to the 1:30 p.m. PT start time. A live webcast of the call will also be available at http://www.yelp-ir.com under the Events & Presentations menu. An audio replay will be available between 4:30 p.m. PTMay 5, 2016 and 11:59 p.m. PTMay 12, 2016 by calling 1 (855) 859-2056 or 1 (404) 537-3406, with Passcode 90874309. The replay will also be available on the Company's website at http://www.yelp-ir.com. This press release contains forward-looking statements relating to, among other things, the future performance of Yelp and its consolidated subsidiaries, that are based on Yelp’s current expectations, forecasts and assumptions and involve risks and uncertainties. These statements include, but are not limited to, statements regarding the CFO transition and timing thereof, Yelp’s ability to capture a meaningful share of the large local market, Yelp’s ability to rapidly scale its advertising and transactions businesses, Yelp’s market opportunity and Yelp’s ability to deliver value to local businesses. Yelp’s actual results could differ materially from those predicted or implied and reported results should not be considered an indication of future performance. Factors that could cause or contribute to such differences include, but are not limited to: Yelp’s limited operating history in an evolving industry; Yelp’s ability to generate sufficient revenue to regain profitability, particularly in light of its significant ongoing sales and marketing expenses; Yelp’s ability to successfully manage acquisitions of new businesses, solutions or technologies, such as Eat24, and to integrate those businesses, solutions or technologies; Yelp’s reliance on traffic to its website from search engines like Google and Bing; Yelp’s ability to generate and maintain sufficient high quality content from its users; maintaining a strong brand and managing negative publicity that may arise; maintaining and expanding Yelp’s base of advertisers; changes in political, business and economic conditions, including any European or general economic downturn or crisis and any conditions that affect e-commerce growth; fluctuations in foreign currency exchange rates; Yelp’s ability to deal with the increasingly competitive local search environment; Yelp’s need and ability to manage other regulatory, tax and litigation risks as its services are offered in more jurisdictions and applicable laws become more restrictive; the competitive and regulatory environment while Yelp continues to expand geographically and introduce new products and as new laws and regulations related to Internet companies come into effect; Yelp’s ability to timely upgrade and develop its systems, infrastructure and customer service capabilities. The forward-looking statements in this release do not include the potential impact of any acquisitions or divestitures that may be announced and/or completed after the date hereof.